222 pages | 10 B/W Illus. This volume explores how mechanisms of postindustrial capitalism affect places and people in peripheral regions and de-industrializing cities. 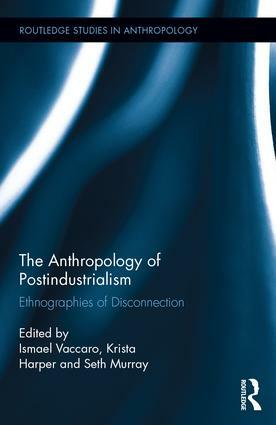 While studies of globalization tend to emphasize localities newly connected to global systems, this collection, in contrast, analyzes the disconnection of communities away from the market, presenting a range of ethnographic case studies that scrutinize the framework of this transformative process, analyzing new social formations that are emerging in the voids left behind by the de-industrialization, and introducing a discussion on the potential impacts of the current economic and ecological crises on the hyper-mobile model that has characterized this recent phase of global capitalism and spatially uneven development. Ismael Vaccaro is Associate Professor at the Department of Anthropology and the McGill School of Environment at McGill University. Krista Harper is Associate Professor of Anthropology and the Center for Public Policy and Administration at University of Massachusetts Amherst. Seth Murray is Director of the Program in International Studies and Teaching Associate Professor in the Department of Sociology and Anthropology at North Carolina State University.